A new Al Jazeera documentary provides a sobering look at a lobby that continues to defend Israel’s control of Palestinian lives, despite the many Americans turning against it. There’s a moment near the end of the four-part, Al Jazeera documentary on the U.S. Israel lobby — censored by its own network due to pressure from the U.S. government and incensed U.S.-based, pro-Israel lobbyists — where the show’s undercover reporter, “Tony,” films a key Israel advocate in Washington. Eric Gallagher was a senior manager at The Israel Project and admits that the dominant pro-Israel lobby, AIPAC, faces an existential crisis. Gallagher doesn’t explain why so many Americans are turning against Israel in public opinion polls. The latest figures from The Economist and YouGov, an online data analytics firm, find that U.S. liberals, millennials, and women have turned against the Jewish state in large numbers. The 50-plus year occupation of Palestinians and their lands, constant killings of civilians in Gaza, and the Trump administration’s obsessive embrace of Israel’s hard-right are all factors. Republicans and conservatives still back Israel in large numbers, as do many in the evangelical Christian community (though younger members are more skeptical). For the foreseeable future, however, Israel will likely receive unprecedented financial, military, and diplomatic support from the United States. It’s a telling admission in a documentary that’s full of them. Following Al Jazeera’s 2017 examination of Britain’s Israel lobby — a film that uncovered extensive Israeli government interference in the British political system, along with Labour Party operatives who aimed to silence critics of Israel with false charges of anti-Semitism — expectations were high for the U.S. version. They planted a convincing young, British, Jewish man, James Anthony Kleinfeld, within the American Zionist establishment, who filmed undercover for months to reveal pro-Israel lobbyists and Israeli government affiliates talking tactics and spewing racism against Muslims and Palestinians. Al Jazeera even admitted to planting an undercover reporter inside U.S. pro-Israel lobby groups in 2017, but the channel never broadcast the final product. Director and founder of Al Jazeera’s Investigative Unit, Clayton Swisher, has detailed the political reasons for this decision: a combination of Qatari government capitulation, pro-Israel lobbyists in Washington threatening to convince Congress to register the network as “foreign agents,” and false accusations of anti-Semitism against the producers of the documentary. A source told me that U.S. President Donald Trump’s first Secretary of State, Rex Tillerson, had even lobbied the Qataris not to screen the film. Whatever exactly Israeli, American, and pro-Zionist lobbyists did, it worked, though clips of the film started leaking in the last months. The full film can’t be far behind. The leaks prove that the Israeli embassy, often working with pro-Israel groups, spies on pro-Palestinian students and attempts to disrupt the growth of the Boycott, Divestment and Sanctions (BDS) movement across the U.S. Other Zionist lobbyists want students who support Palestinian rights to be criminally prosecuted. Fake Facebook accounts are created by Israel lobby groups that only occasionally mention Israel, because the Israel brand has become so toxic. The notorious Canary Mission website, used by the Israel government to target pro-Palestinian supporters on arrival in its country, is exposed as being funded by major pro-Israel donors in the U.S. These are all important revelations, and an international audience deserves to see them. There’s nothing remotely anti-Semitic in the film. It’s a sober and detailed exposé of a lobby that functions despite the demographic gravity pushing against it. It’s not just young Americans losing support for Israel, but American Jews who increasingly can’t abide by a foreign country that advocateschauvinism, occupation, and racism. The horrific Pittsburgh synagogue massacre has only deepened this divide between Israel and its vast Jewish Diaspora. Banning the film shows the weakness of the Zionist lobby, not its strength, because it acknowledges that any criticism that shatters the illusion of how the lobby operates secretly cannot survive sunlight or public scrutiny. Nonetheless, it’s worrying that Al Jazeera continues to stonewall about the real reasons it has not scheduled the film. Yes, Swisher and his team have been accused of anti-Semitism, more than a decade after the Mearsheimer-Walt book. But the label no longer sticks effectively, apart from the rigid ideologues who won’t tolerate any criticism of Israeli actions. When real anti-Semitism is surging globally, it’s a damning indictment on those who abuse the term for shabby political ends. 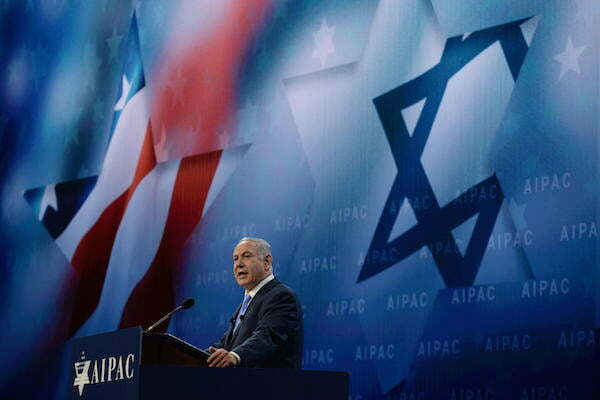 The Israel lobby does this around the world. A key theme throughout the film is the perceived need by Israel and its advocates to secretly and publicly smear supporters of Palestinian rights. That’s what being strongly pro-Israel means for the litany of Zionist lobby groups featured in the documentary, from The Israel Project to the Brandeis Center. It looks and feels grubby and desperate. BDS is framed as an existential threat to the continuation of the Jewish state, a severe exaggeration in the current moment, but it has undeniably achieved great psychological damage to the Israeli narrative and justification for indefinitely occupying millions of Palestinians. One of the early reviews of the film, written by Anshel Pfeffer in Haaretz, argues that the U.S. Israel lobby and Israeli government are “begging a bunch of amateurs for intel [on BDS supporters].” Although he later admits that the film shows a “self-harming campaign” that costs the Israeli government millions of dollars every year, he ignores the wider implications for the many targeted liberal Jews, pro-Palestinian activists and Muslims whose lives and records are smeared by the lobby for daring to defend Palestinian rights. Free speech around Israel/Palestine is now under attack in the U.S. and across the globe. The FBI is using Canary Mission as a reference point to harass pro-Palestinian activists. This Al Jazeera documentary deserves a wide audience because it exposes the motivations and methods of individuals and groups that will spend the next 50 or 100 years defending Israeli control of Palestinian lives. Antony Loewenstein is a Jerusalem-based, independent journalist, film-maker, author of My Israel Question and Disaster Capitalism: Making A Killing Out Of Catastrophe and is currently writing a book on the global “war on drugs”, out in 2019. He has been reporting on Israel/Palestine since 2003.